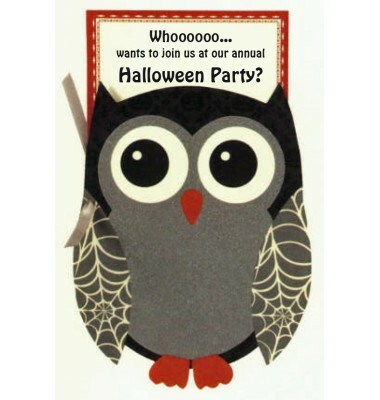 This two-piece Halloween invitation features a owl with silver glittered, spider web wings, and a pumpkin design above his big owl eyes. 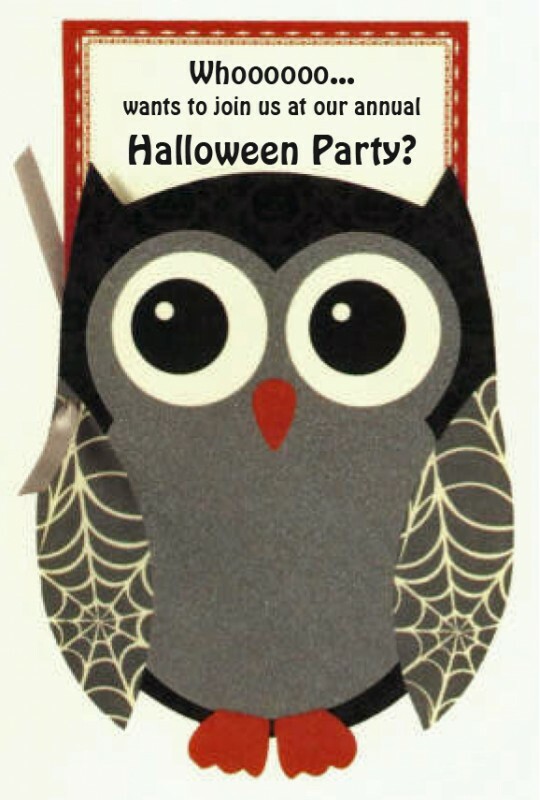 Your party information is printed on a flat ecru card that is attached to the owl with a silver ribbon. White envelopes are included.